ALHADAF is among the first players in the market. It was established in October 2003. It aims at providing a professional specialized service of high standard. This includes registration, technical assistance, logistics, marketing, promotion, purchasing, importation, sales and distribution. 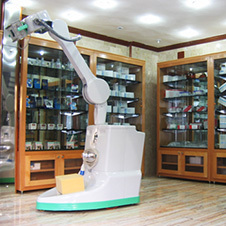 All refer to pharmaceuticals, laboratory consumables, consumer healthcare products and medical equipment. ALHADAF is managed by a professional team of expertise, highly qualified in medical, pharmaceutical, public health, business and financial fields. They are respectful and professional figures in the healthcare field, equipped with proper communication and public relations skills, in addition to their quality scientific knowledge. Pharma, Medical and Consumer care. 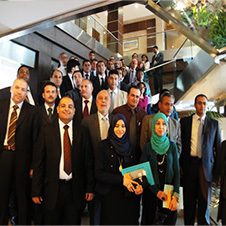 The company’s head office is in Tripoli, with two branches; Benghazi and Musrata. Sebha branch is planned to be established shortly. The distribution network is a well organized setup and is capable of serving the entire country. Currently 85% of both public and private healthcare accounts are covered.